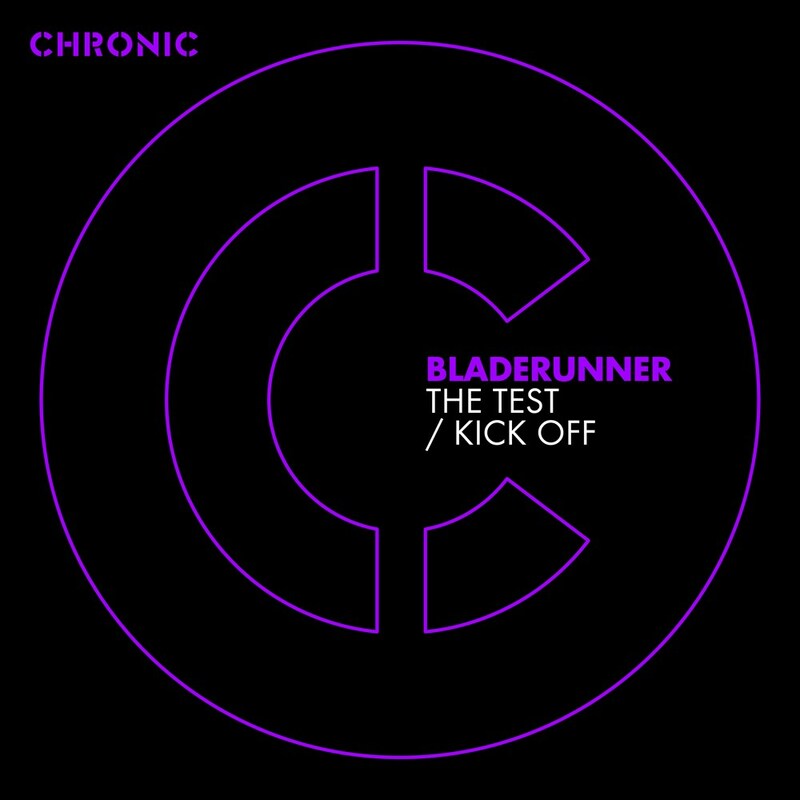 After years of hard work, a discography packed full of big tunes, huge remixes, and a list of labels to his name that looks like a â€˜who's whoâ€™ of D&B, Bladerunner is riding a wave at the moment. As part of the Kings of the Rollers trio alongside Serum and Voltage his productions are getting more exposure than ever before, and as a firm fixture in the World of Drum & Bass tours, he's hitting all corners of the globe with his trademark sound. With all this going on we're very excited to be able to present his debut single on the mighty Chronic label. Having previously contributed to the Chronic Rollers series, and the Warehouse Music project it seemed only right he claim a catalogue number all of his own. The Test & Kick Off hit you straight the in the chest, it's all about the bass. With appeal right across the D&B spectrum these two infections and funky cuts hold firm in amongst the legendary Chronic catalogue, and like other gems in that collection will no doubt be being drawn for years to come!